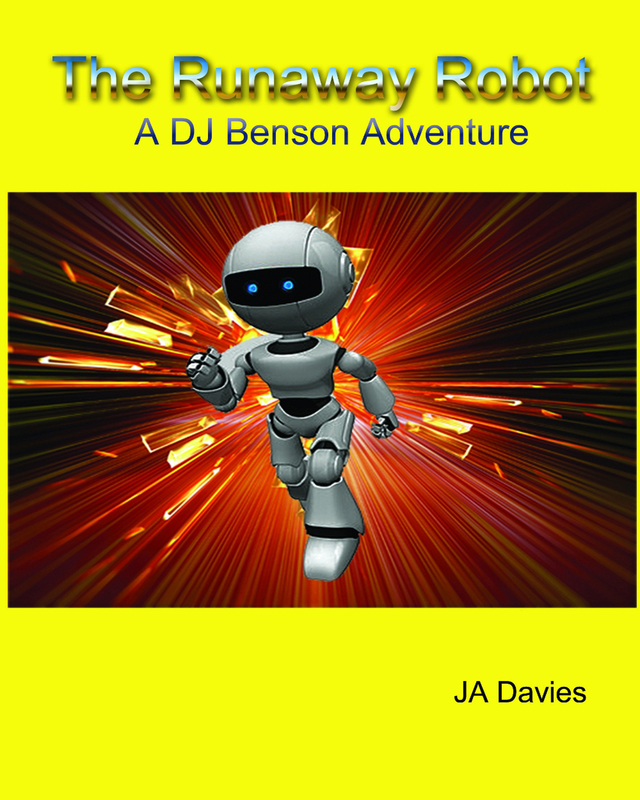 The Runaway Robot: A DJ Benson Adventure features DJ, a twelve-year-old boy who lives on a farm in the Australian countryside. DJ is curious about the world around him and all things scientific. His best friend is Becky Martin, whose father owns the local computer store. DJ’s family has just inherited Uncle Clive’s entire fortune. Part of the inheritance is a factory that makes robots. DJ’s father asks the factory to design and build a robot to help back at the farm. The robot is to be delivered unassembled, but before the family can get it back home, it is stolen. DJ turns to Uncle Clive, who didn’t pass away, but just faked his demise so he could retire from the city and live next door to the Benson’s farm. Uncle Clive suggests they order another robot. DJ asks Becky to help him assemble it, but the new robot is stolen, too! DJ believes that Becky’s father has taken both robots. He confronts Mr. Martin, who pleads his innocence. DJ is not convinced and sets out to find the two missing robots. Is Becky’s father the thief? Can DJ trust Becky? Will the robots be returned? Can DJ save the day? Keywords:- Robot, Detective, Professor, Universe, Computer, Kidnap, Portal. Genres:- Fiction, Action & Adventure, Mystery & Detective , General,Suspense.